I love the cuteness factor of conversation hearts, but not the chalky taste. Meaghan created something just as cute and better tasting using store bought marshmallows. She will show you how to turn regular marshmallows into dip dyed heart marshmallows. Perfect for some Valentine's Day hot chocolate. 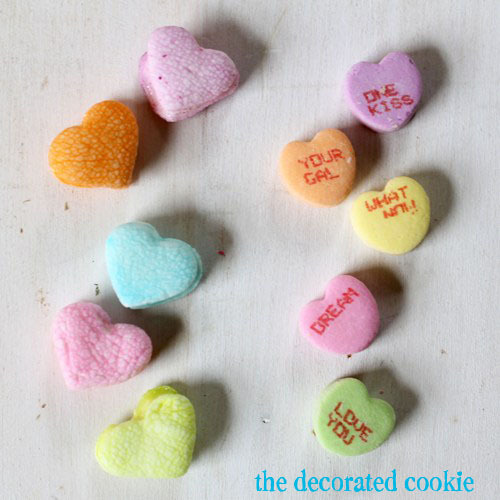 You can check out how to dip dye heart marshmallows over at The Decorated Cookie.